We’re going out of town (again!) for a quick snap starting tomorrow morning, with an overnight stop in LA-la land and then continuing on for a few nights spent under the great big Western sky with my in-laws* in Jackson Hole, Wyoming. I’m packing my Chacos (yes, I own them, and don’t even think of judging me, remember – I did live in Boulder) and a pair of my favorite tall boots (nights in Jackson this time of year should nestle somewhere comfortably in the mid 40s), and I’d be lying if I told you I wasn’t pumped to browse around for a cozy blanket to toss around my shoulders at the Pendleton shop that’s in town. *I hate calling them this! It has such a negative connotation, like I’m forced to be bound to them or hang out with them only by law. What can we start calling “in-laws” that we love?! I’m formally accepting your suggestions. I’m not generally a fan of dumping lots of canned this and that together and – look mom! I made a recipe! 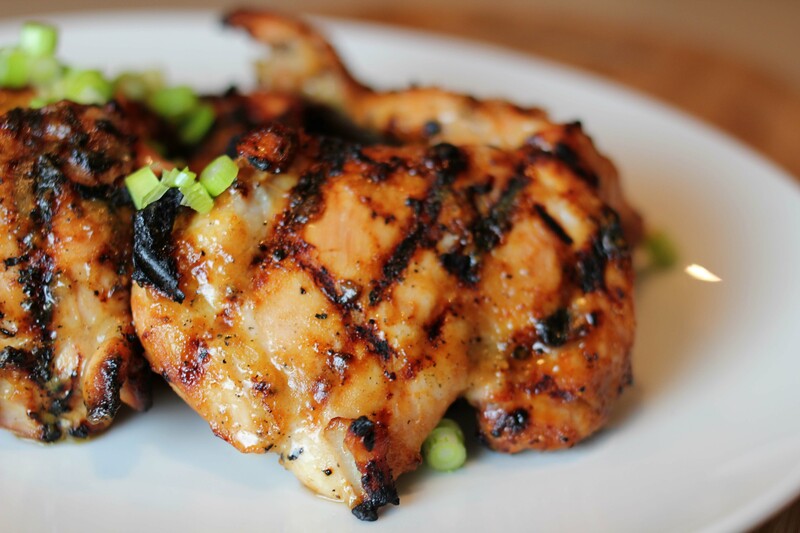 – but this here grilled chicken “recipe” does pretty much exactly that. 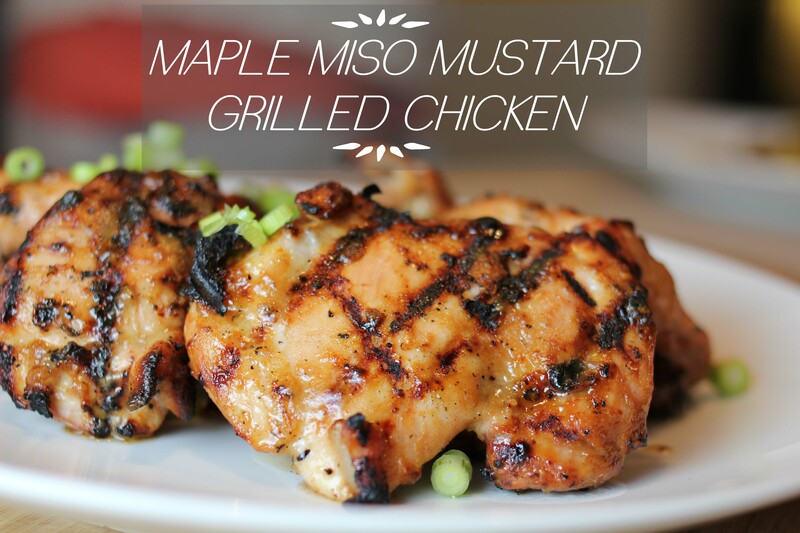 This maple mustard miso chicken (say that three times fast) comes together exactly as it sounds: stir together sweet white miso paste, dijon mustard, and maple syrup as your marinade and ‘glaze,’ season chicken thighs with a little S&P, and grill them up till they’re crisped and charred on the edges and juicy and tender in the middle. That’s it! So back to these. Like I said, they are great to whip up last minute/when your fridge is bare/when you’re about to go on vacation and don’t want to buy lots of groceries, and they taste good enough to serve at a weekend BBQ even if you don’t have any of those constraints about you. Added bonus: this marinade is kind of amazing in that it is also muy delicioso on salmon, shrimp, pork chops, and even tofu. The methodology and idea remains the same – salt and pepper your protein, then marinate it for as long as you’ve got (30 minutes and up to overnight), and grill it up, brushing with some of the reserved marinade as you go so it thickens up and makes a nice glaze. Your easy peasy lemon squeeze-y weekend menu right here. You’re welcome! This may go without saying, but be sure to use real maple syrup – none of that fake sugar stuff that comes in a bottle shaped like an auntie or a cabin made of logs….that is not actually maple syrup. It’s corn syrup in disguise. See rant above. You could use chicken breasts or tenders here – they will cook up a lot more quickly though, so keep an eye on them so they don’t dry out. These thighs are also great chopped and piled up on a bun slathered with a bit more dijon mustard and a few leaves of butter lettuce. Easy peasy! 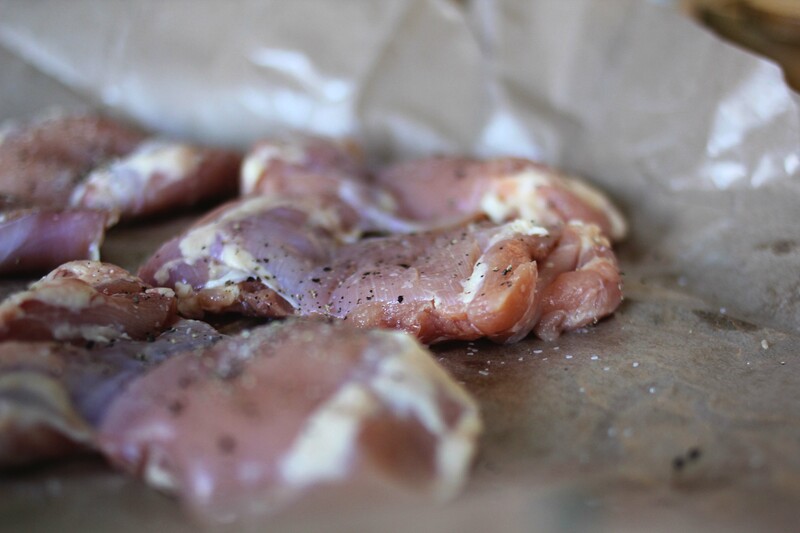 First, season your chicken thighs well with salt and fresh pepper. 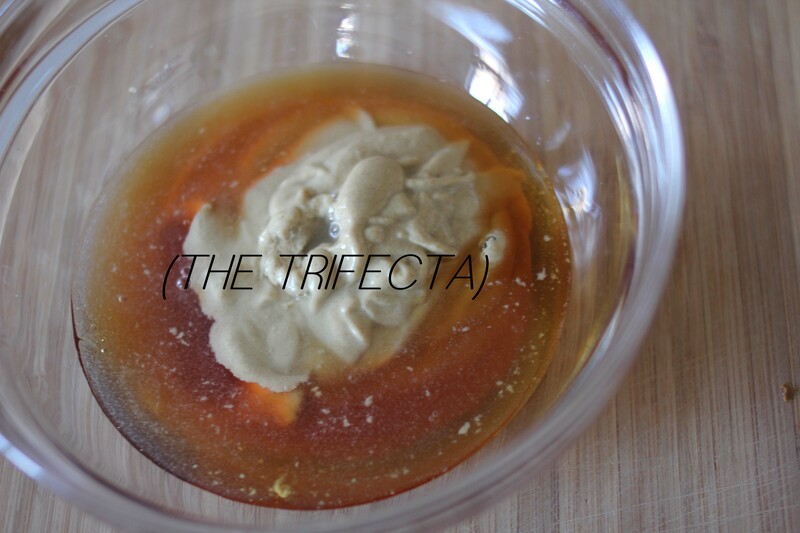 Whisk together the maple syrup, mustard, the miso paste, grated garlic, and soy sauce, and pour half of the marinade into a ziplock bag; save the other half in the bowl you made it in till you are ready to grill. Put the chicken thighs in the ziplock bag, and toss them well to coat them in the marinade; let them sit, refrigerated, for at least 30 minutes and up to overnight. When you are ready to cook them, prepare your grill. Remove the chicken from the marinade and discard the extra marinade that remains in the bag (as there was raw chicken in it). Grill the chicken thighs over medium-high heat, basting them really well with the reserved marinade so that the heat of the grill causes the sugar in the miso and maple syrup to caramelize and crisp up. Cook the thighs till they are no longer pink in the center, about 3-5 minutes per side. Sprinkle the sliced green onions over the chicken, and serve. This entry was posted in entree, lunch and tagged chicken, healthy, meat, no fanciness required!, simple, weeknight favorite. Bookmark the permalink. Yum, this looks so good. I think the combination would work well I will try it out for hubby. Thanks for sharing and enjoy your holiday! Looks delicious. What a great combo! Hmm .. it looks delicious ..
Looks phenomenal, thanks for sharing! For all the carnivores & omnivores out there! by utilizing little plates, bowls, and cups. Lovely!!! I’m with you all the way about bottles of chemical goo masquerading as “food”. 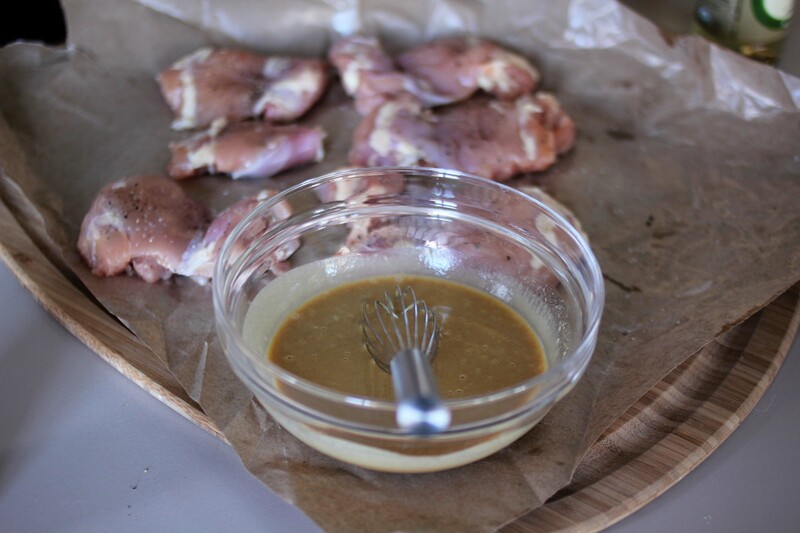 But using bottled stuff doesn’t have to be that as you’ve shown here with the marinade – lovely with the mustard and soy. I can’t wait to try it! I’ve never used mirin before but have been seeing a lot of bloggers using it so I need to search some out. Great recipe. I recently purchased miso to make sake miso-glazed sea bass (which was amazing). This would be perfect to use the leftover miso on! Hi Cory, I’ve just stumbled upon your blog. I love the way you write and all your photographs…You have created such a beautiful place. It would make me very happy if you could pop over and visit me too sometime. 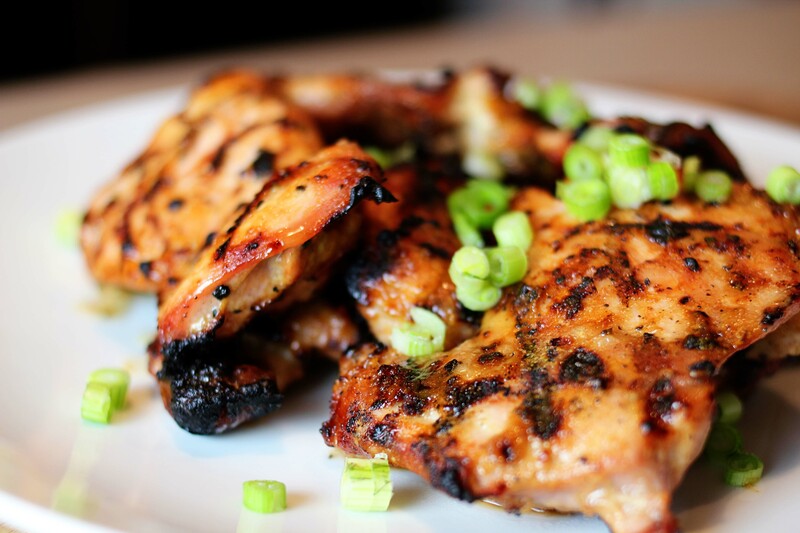 I have never thought of using miso as a marinade for chicken before! I can’t wait to see how it turns out! Thank you for sharing! nice looking dish. Hello from another foodie and author.